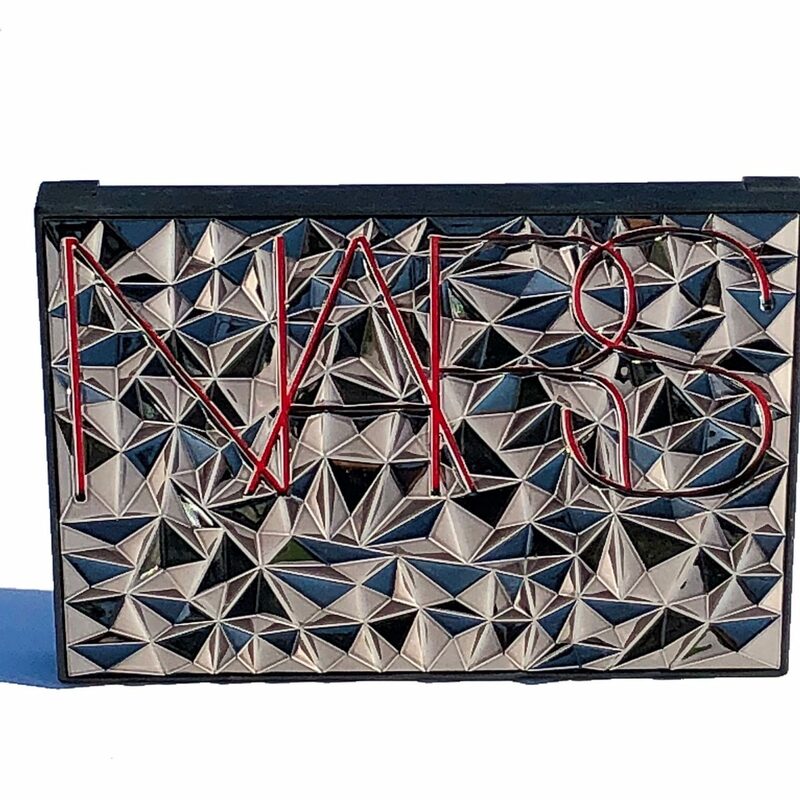 The new NARS Holiday 2018 Collection has officially landed! The collection, inspired heavily by the iconic punk era of the 1970’s includes over 30 limited edition products with a range of shades and formulas that evoke 1970’s tough street fashion. It comes complete with graphic packaging that is edgy and truly next level. I am a huge fan of their limited edition holiday collections. When initial images of the collection surfaced online, I already started making my list in anticipation of its arrival. 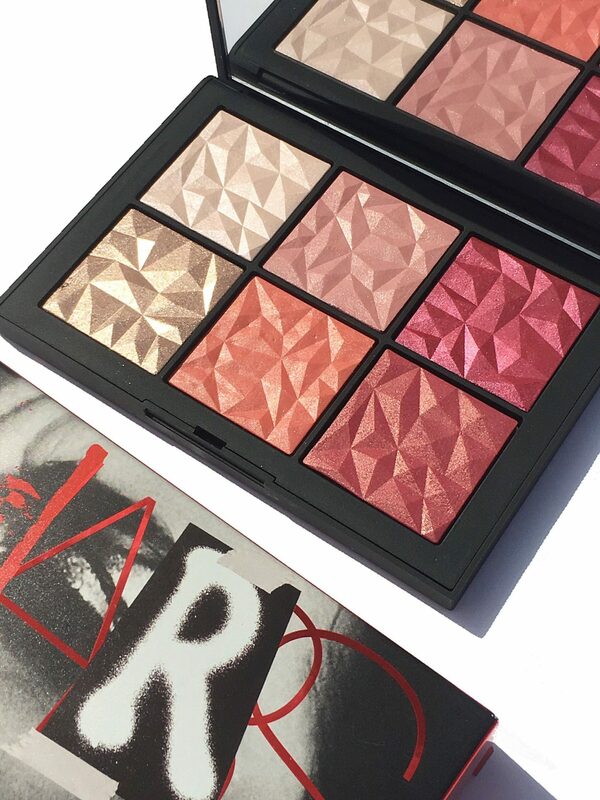 Today I am excited to showcase a stellar piece from the collection–- The * NARS Hot Tryst Cheek Palette. This will be the first in a series of posts that will showcase the highlights from this stunning holiday collection. 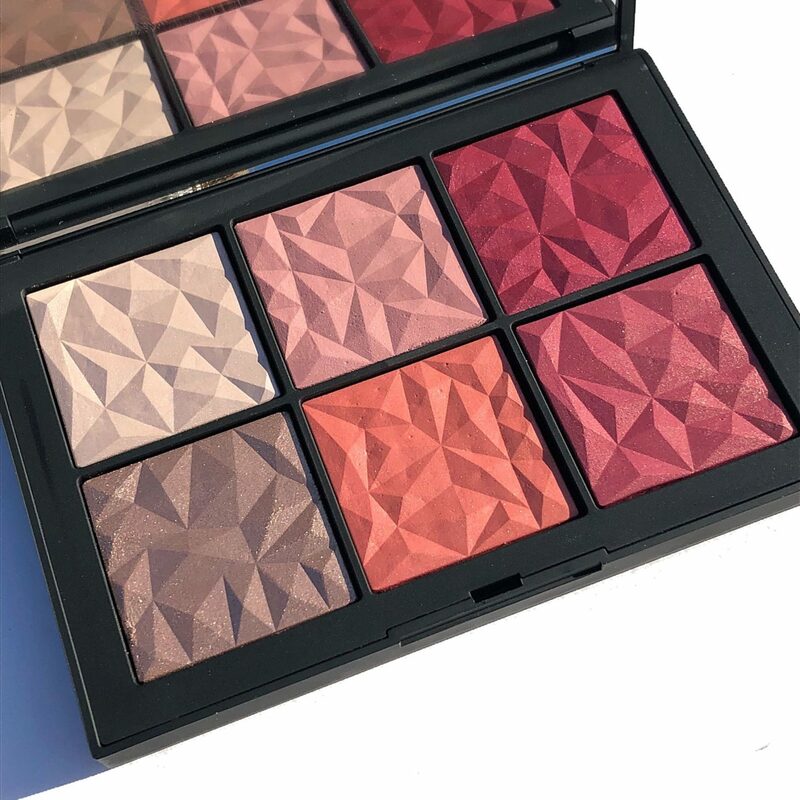 The NARS Hot Tryst Cheek Palette features all new shades; four blushes and two highlighting powders to highlight and contour. The blush powders are formulated with silky, superfine, micronized powder pigments while the highlighting powders are described as a blend of sheer micro-spherical powders and pearls that help to create a second skin luster. 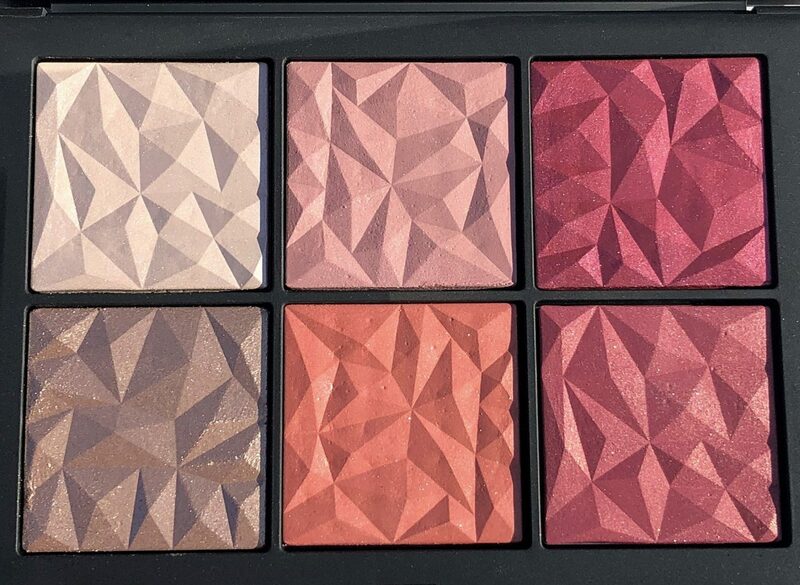 The studded graphic packaging for this blush palette is beyond stunning. It’s lightweight, yet sturdy to take on-the-go. Once opened, you will be mesmerized by the stunning geometric embossing on six of the individual pans enclosed within. It’s almost too pretty to touch. The powders are silky to the touch and remind me of the Dual Intensity blushes, previously reviewed here, except they are a bit softer in texture. I find that they are easy to work with and accommodated many of my blush brushes. They can be applied sheer, yet layered for more intensity if desired. They are beautifully pigmented and I love the radiance and luminosity they impart. Each shade is beautiful on its own, yet can be mixed and layered to create your own custom flush. The end result is a healthy looking, luminous flush that is long lasting. I achieved 8 hours of wear with this palette formula. Bottom line, it’s love. I have been a fan of the NARS blush formula for a long time and this one does not disappoint. I can still remember the first face palette I purchased years ago–the NARS Danmari palette. 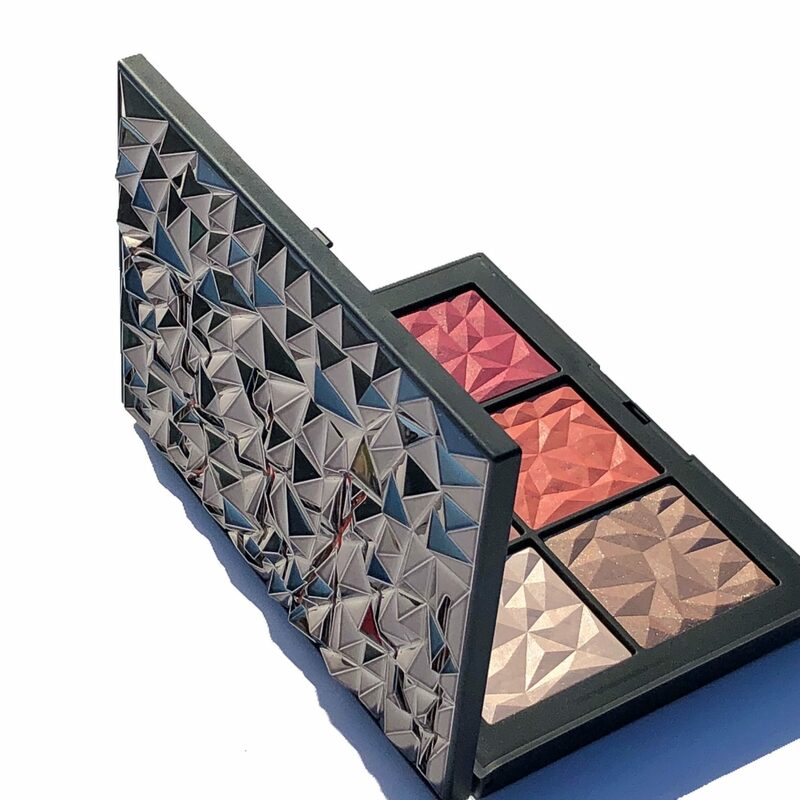 My level of excitement for each subsequent NARS face palette release still remains high, and this limited edition palette is one not to miss, especially for you beauty lovers out there. 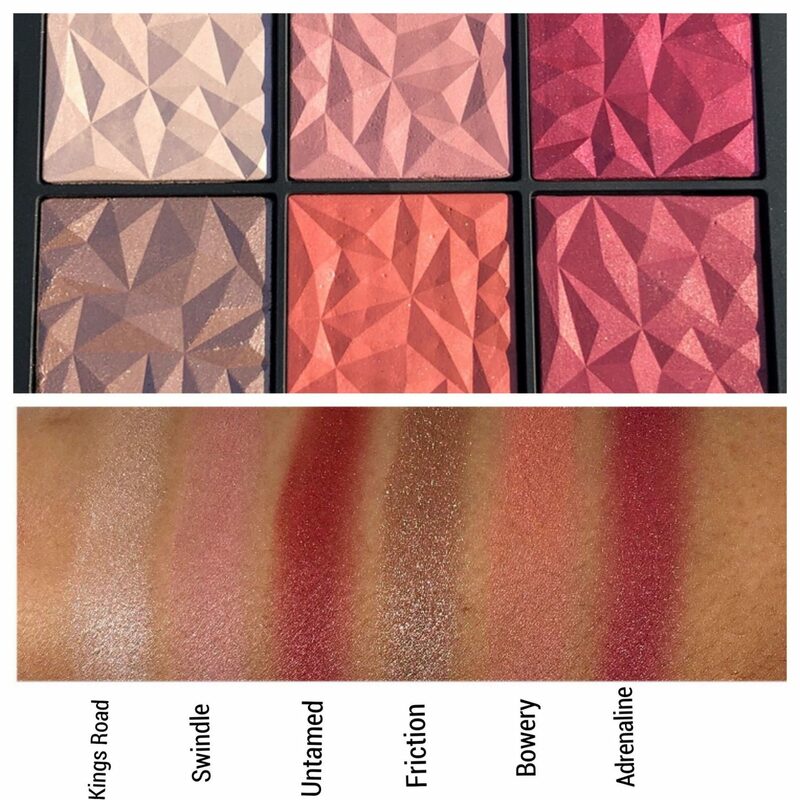 The NARS Hot Tryst Cheek Palette , $59 is now available online at Narscosmetics.com and Sephora. The collection also includes products that will be exclusive to Nordstrom as well as Ulta. I will be featuring more products from the NARS Holiday Collection soon, so stay tuned! *Press sample. All opinions are honest and expressly my own. Some links may be affiliated. Please read my full disclosure on my home page.